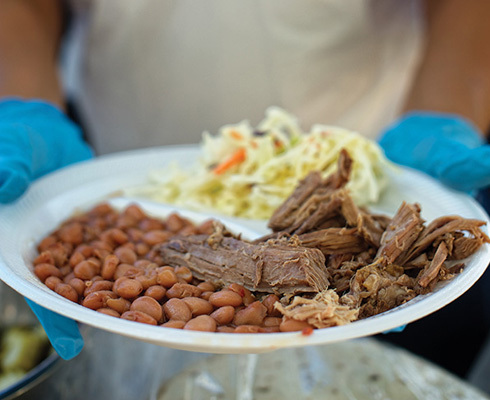 Top-notch comfort nosh at Wagon Mound’s Bean Day Celebration, with side dishes of mariachi and rodeo fun. 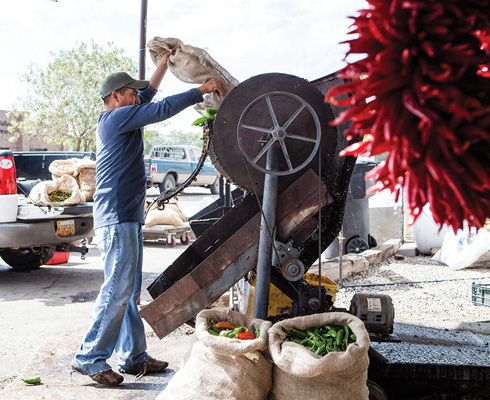 A sack of freshly picked green chiles gets upended into a roaster at the Hatch Chile Festival. 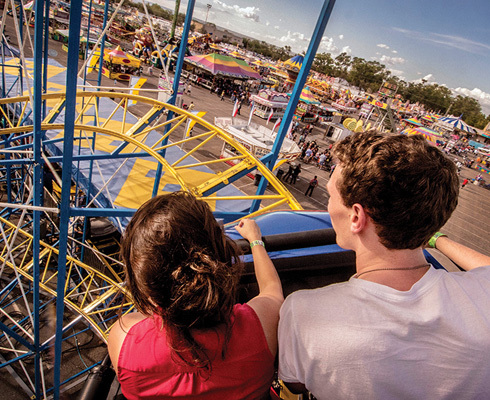 Facing Page: Swooping into the thick of state fair fun. 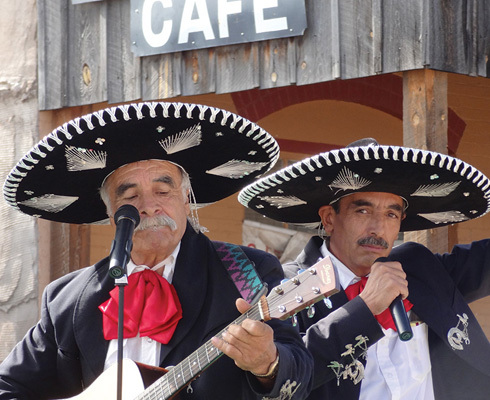 Some major talents are tearing up the stage at the New Mexico State Fair this year, including exhilarating Chicano rockers Los Lonely Boys and Ozomatli, as well as venerable country acts Restless Heart and Clay Walker. 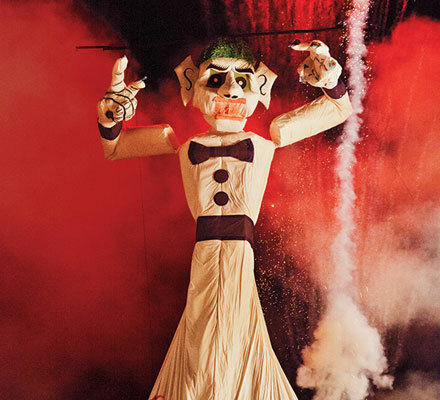 Also worth a cheer: the third annual Unique Foods Contest, which last year gave birth to such delicious and novel mash-ups as deep-fried caramel ice cream wrapped in fry bread, red chile–chocolate limeade, and—the winner—a deep-fried green chile–and–bacon cheeseburger. If just reading that sentence made you thirsty, take heart: There will be more beer gardens at the fair than ever before, and La Cumbre Brewing has created an official New Mexico State Fair cream ale. Salud! Gypsum dunes set off hot-air balloon hues at the White Sands Balloon Invitational. 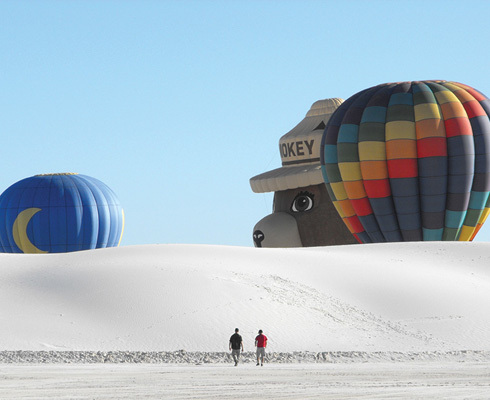 If there’s one day at White Sands National Monument when the view skyward is even more spectacular than that of the brilliant dunes of gypsum underfoot, it’s the Saturday of the White Sands Balloon Invitational, when some 50 brightly colored hot-air balloons ascend over the park. 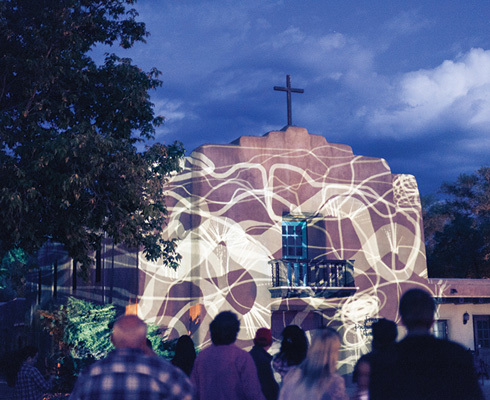 Projected visual art gave the First Presbyterian Church of Taos a dynamic update during the Paseo fest last year.